Home / CaliBurger / food / restaurant / Summer Flavors / New Summer Flavors at CaliBurger! 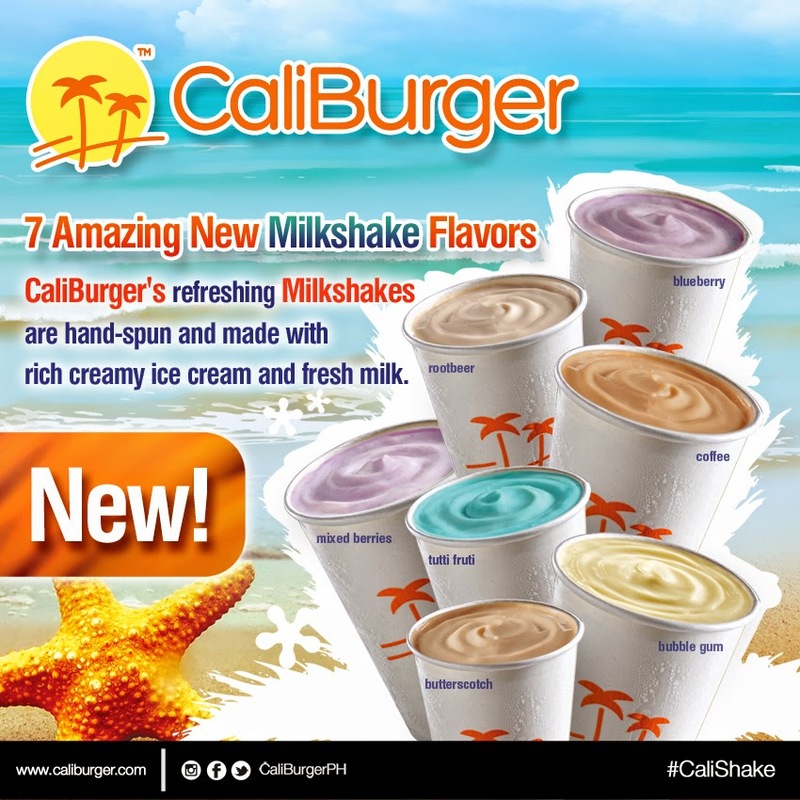 New Summer Flavors at CaliBurger! A Golden state of mind, and an endless summer—that’s the CaliFresh vibe that CaliBurger gives off.CaliBurger brings the highest quality, made to order burgers and only use pure, fresh, and simple ingredients that are “Always Fresh”. Ever since CaliBurger opened its doors last February 2014, it has brought together the California lifestyle under one roof: great food, great service, trendiest design, art, and music. CaliBurger has also already shared its amazing burgers to different parts of the world: Hong Kong, Shanghai, Taiwan, Kuwait, Dubai, Philippines, and soon also in Kuala Lumpur, Washington DC, and Canada! · Healthy "Cali Chicken Sandwich" with Avocado sauce! In addition to CaliBurger’s classic milkshake flavors (chocolate, vanilla, and strawberry), there are 7 Amazing New Milkshake flavors that all the boys (and girls) in the yard are starting to talk about. This summer, you can now cool down the heat and enjoy CaliBurger’s refreshing new milkshakes: TuttiFrutti, Bubble gum, Butterscotch, Coffee, Mixed Berries, Blueberry, and Rootbeer. All of CaliBurger’s milkshakes are hand-spun and made with real rich creamy ice cream and fresh milk! Another new addition to CaliBurger’s menu this year is the spicy Chipotle BBQ Chicken Sandwich. 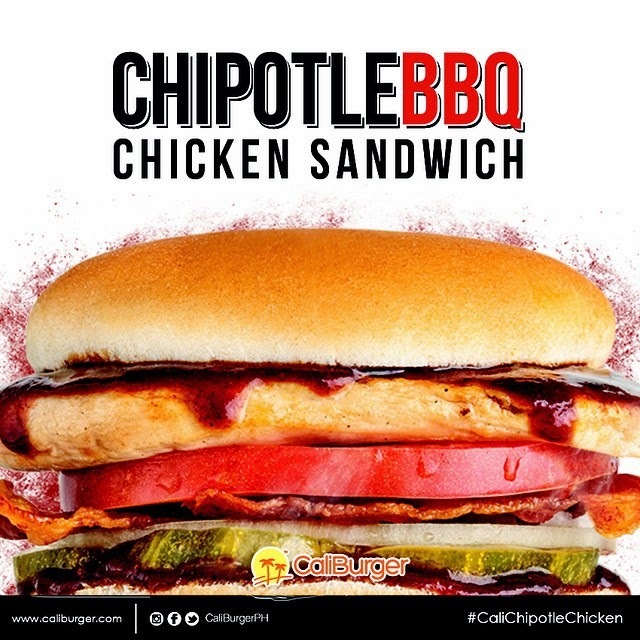 Made with JUICY and TENDER lemon & herb marinated chicken breast, GARDEN FRESH red plump tomatoes, CRISPY bacon, TANGY pickles, sliced onion, and their house made SPICY chipotle BBQ sauce,this hot new concoction by CaliBurger is sure to bring more heat this summer! 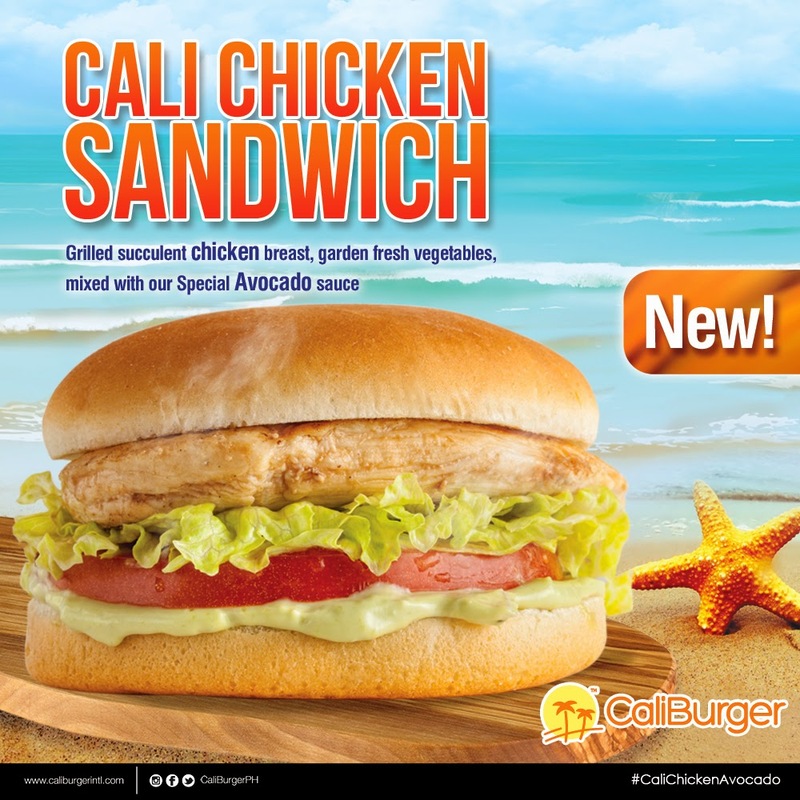 Last but not the least, what better way to start summer than with the newest and healthy addition to their menu, the CALI CHICKEN SANDWICH! Made with grilled succulent CHICKEN breast, garden fresh vegetables, and mixed with their special AVOCADO sauce, this dish is simply delicious! To know more about CaliBurger and their offerings, you can visit the stores located at 118Timog Ave., Quezon City or 4F Century City Mall, Makati City. LIKE them on Facebook or FOLLOW them at @CaliBurgerPH on Instagram and Twitter.